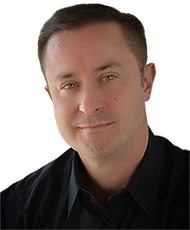 Hi, I’m Robert Terson, guest host of The Sales Management Minute. 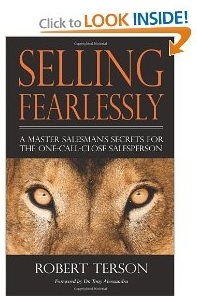 Someone recently asked me what the most important point was to becoming a master salesperson. In my opinion the most important point is an Equality Mindset. An Equality Mindset means the salesperson has no fear of the prospect. He sees himself as the prospect’s equal and approaches him in that frame of mind. He’s bold. He knows that he must have the prospect’s respect to do business with him, and the only way to obtain that respect is to be his equal, not his fearful lackey. Think about it: Do you want to do business with someone who is afraid of you? Who fawns all over you, wants your business so badly he’ll say anything, do anything, to obtain it? When you possess an Equality Mindset you approach the sales process from a position of strength. When you’re subservient to your prospects, you approach the sales process from a position of weakness. 1. The worst thing that can happen is you won’t make a sale. So what? You knew going in you weren’t going to sell them all, right? So why be fearful? 2. An Equality Mindset leads to what I call the Voice of Authority. A Voice of Authority will cause your prospect to have faith in you, respect you. 3. Eye Contact: You must always look the prospect directly in the eye. A salesperson who avoids eye contact will be seen as shifty, untrustworthy. 4. You’re there to serve the prospect, better his life. That’s a pretty terrific thing. It’s something you can be proud of. It’s something your prospect should appreciate, and will if you’re dealing from a position of equality. An Equality Mindset—it’s your ticket to being a master salesperson.